Found 4 file extension associations related to PHOTOfunSTUDIO and 2 file formats developed specifically for use with PHOTOfunSTUDIO. PHOTOfunSTUDIO smartly sorts your photos and movies into practical folders that are created automatically as you upload them from your camera to a computer, for quick, easy management. The folders and their icons in the PHOTOfunSTUDIO interface are linked with your LUMIX; by shooting mode names, by scene mode names, and by subordinate folders by names input in the Face Recognition function, Baby Mode, Pet Mode, or by titles or destinations that you've input with the Travel Date setting. Each folder is indicated with an icon, of such as scene modes, making it easy to recognize it, so you can find the photos and movies you want fast. 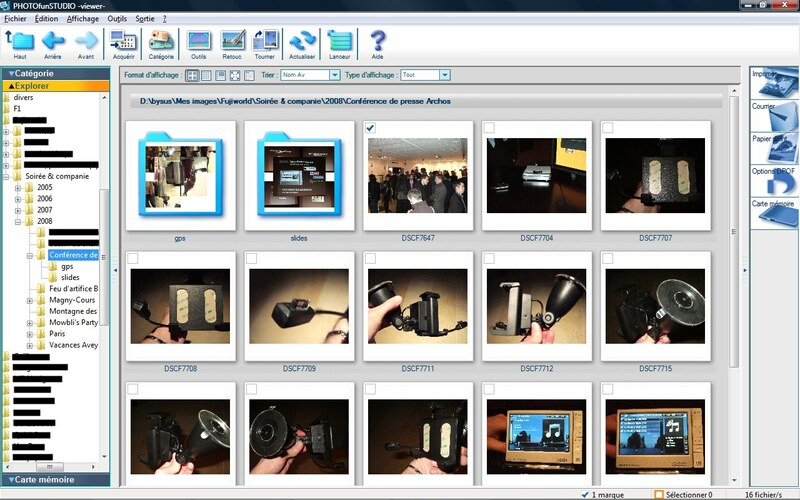 If you want, you can have it organize your photos by keywords that you set, or by dates, or even by camera models. Having so many ways to access the image you want, searching and viewing photos and movies are more comfortable than ever before. If you need more information please contact the developers of PHOTOfunSTUDIO (Panasonic Corporation), or check out their product website.